The best thing about OpenSpace3D is it is free software, but there is more than that, it is light software, and there is also portable version, but so powerful can be integrated with others software very well, it has 64bit version, which is great, the predefined tools are so useful, the interface is very intuitive, this software doens't required a high end pc, but has nice performance, another great thing, they do updates really often and add new things. The graphics can feel a bit old, but still is a great animation, and 3D graphics tool. This software is very easy to use, but there is also a guide on the website it is very cheap, and worth invest on it. This tool is amazing to create 3D scenes, but to create AR and VR animations is just wonderful, with all the tools which it offers and the ways to export all projects make is very helpful, also since it is free there is not fee for use, the portable version and 64bit, makes it very easy to run on any pc with high performance without install it, it support so many formats so is very easy to add items to the scenes, and the plugIts system makes so easy the way to combine predefined functions that saves so much time. 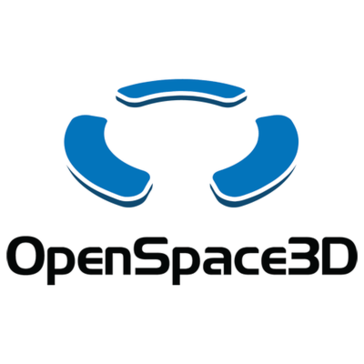 * We monitor all OpenSpace 3D reviews to prevent fraudulent reviews and keep review quality high. We do not post reviews by company employees or direct competitors. Validated reviews require the user to submit a screenshot of the product containing their user ID, in order to verify a user is an actual user of the product. Hi there! Are you looking to implement a solution like OpenSpace 3D?